Above is a pic of one of my Alabama Jumper bins. Worms are feeding on my DIY Worm Chow and some pumpkin. Alabama Jumpers are best suited for tunneling, aerating, and mixing the soil. 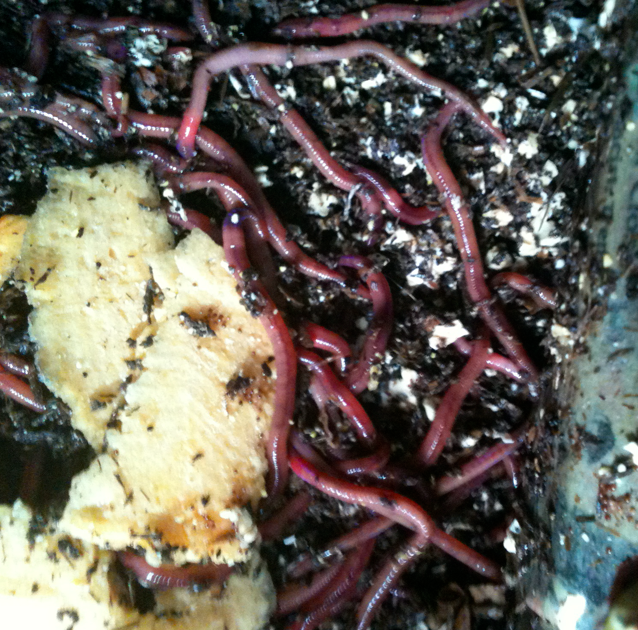 They can be raised in bins like your other composting worms (red worm and european nightcrawler). I set my bins up with a few inches of clay soil on the bottom to make the worms comfortable and try to replicate their natural home. 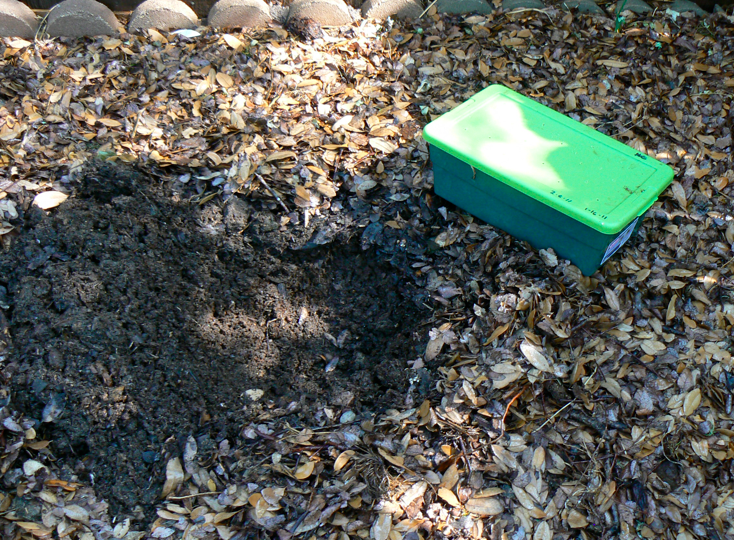 Next, I add several inches of compost that will provide the organic matter they will feed on. In a worm bed or bin the second generation will flourish if conditions are right (moisture and food). Having been born in the environment worms will adapt much better from birth and be happy in their new home. When introducing Alabama Jumpers into a new environment (bin or bed), start with an ample supply of the medium that you harvested them from to ensure a greater chance for success. Add Alabama Jumpers, Red Worms to your soil or raised bed. 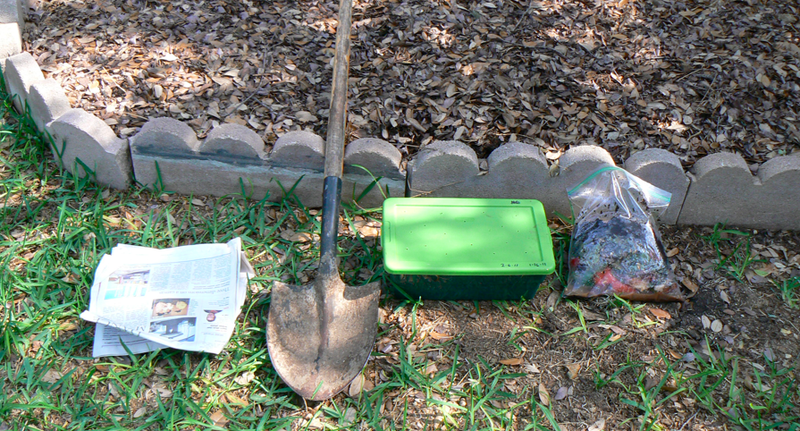 When your worm order arrives here is one way to add them to your garden, raised bed, soil. 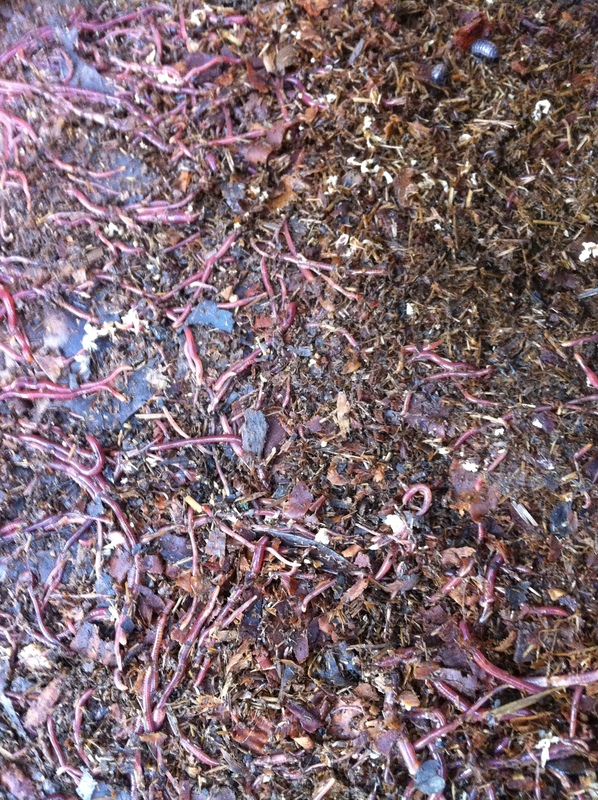 Your TexasRedWorms.com farm is a great place to raise your worms, but soon you will need to harvest the worms in order to make room for more. You can use all or a portion of your worms. 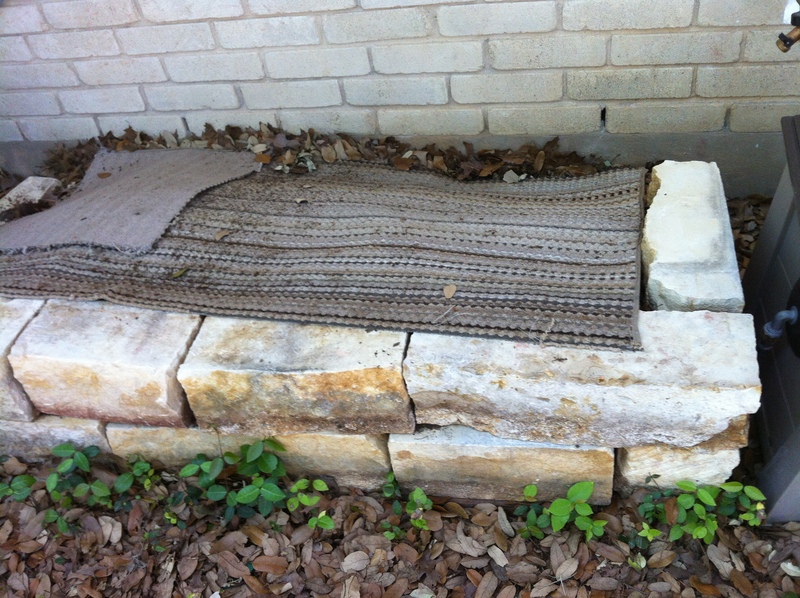 In this example I am adding a box of Alabama Jumpers or as I like to refer to them “Texas Jumpers” to a raised bed I have prepared. 1. 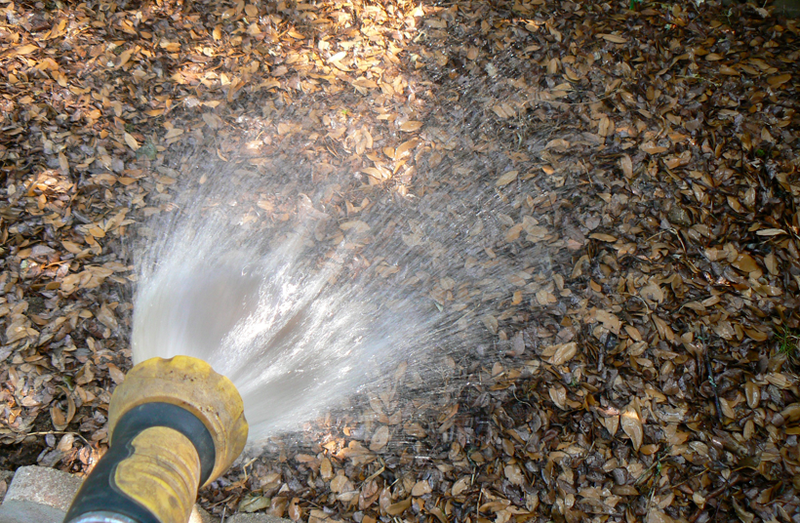 Choose a location preferably a shady spot that you can keep somewhat moist. 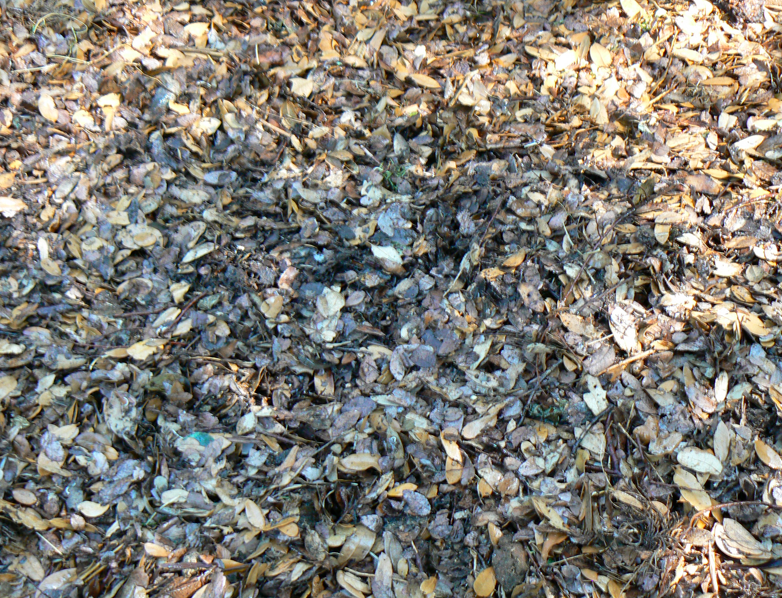 If you are adding to a full sun area be sure to cover with a few inches of mulching material to protect from the sun and to retain moisture. Leaves, newspaper, straw will work fine. Morning or evening are the best time to add your worms. 2. 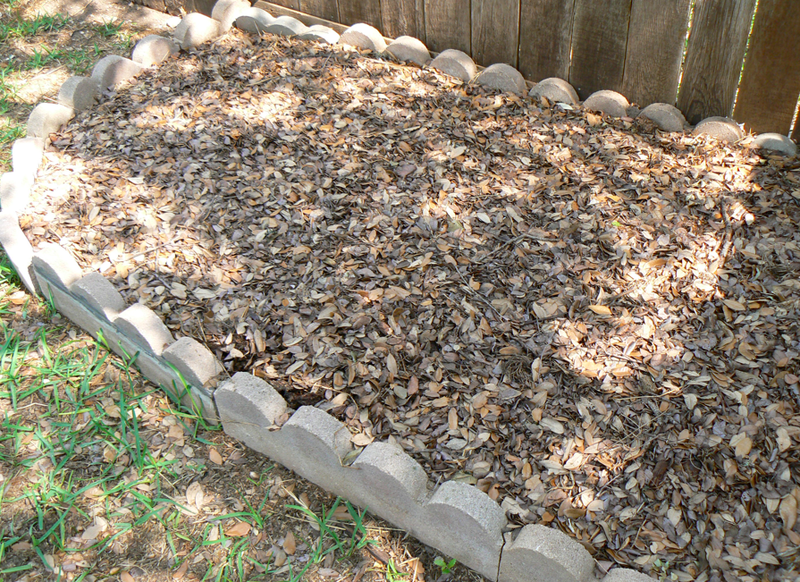 Pre-wet the area you have chosen to prepare a nice moist environment for your worms to settle in. 3. 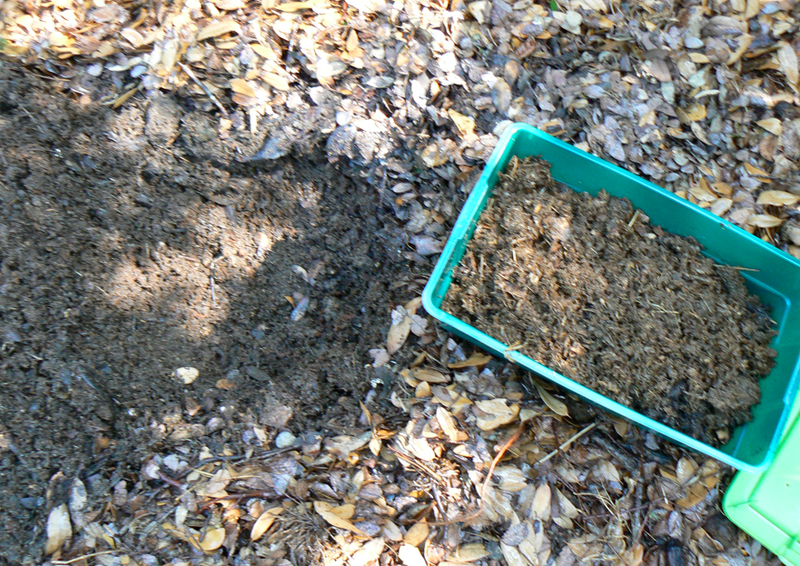 You will need to dig a small hole about the size and depth of the box or container of your worms and contents. 4. Empty contents worms and compost into the hole. 5. 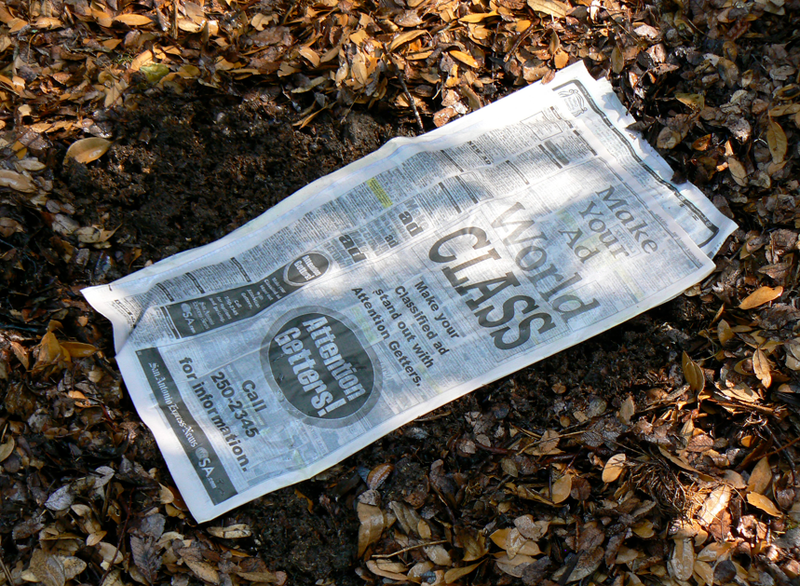 Cover with a section of wet newspaper. This will keep the worms cool and protected from drying out giving them an opportunity to settle in to their new home. The Alabama Jumpers will eventually spread out on their own. Red Worms and European Nightcrawlers will stay were they are fed and are not going to spread like the tunneling Jumpers. 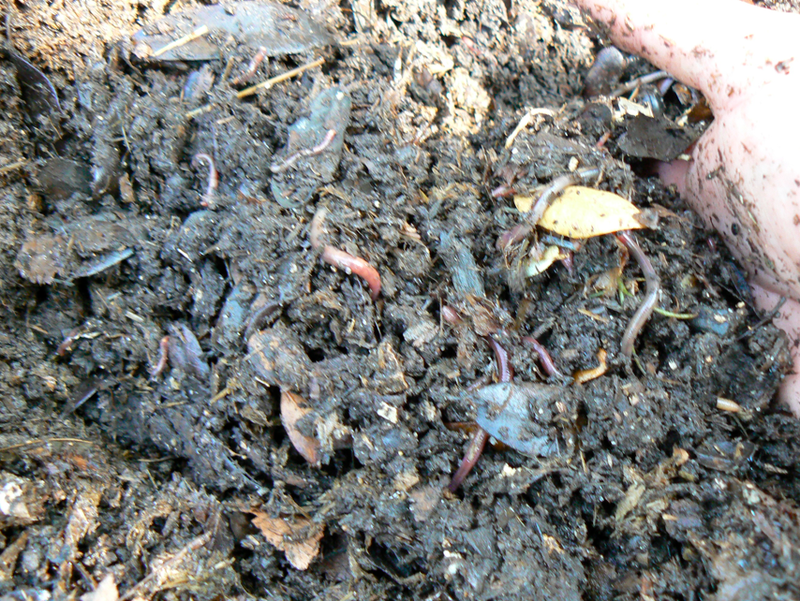 In the event you are adding Red Worms or European Nightcrawlers you will add a handful of kitchen scraps to the same location you placed your worms every few days. As your worm population grows you will learn how often to feed based on how fast they work through the organic material. The Alabama Jumpers are great for aerating and fertilizing the soil. 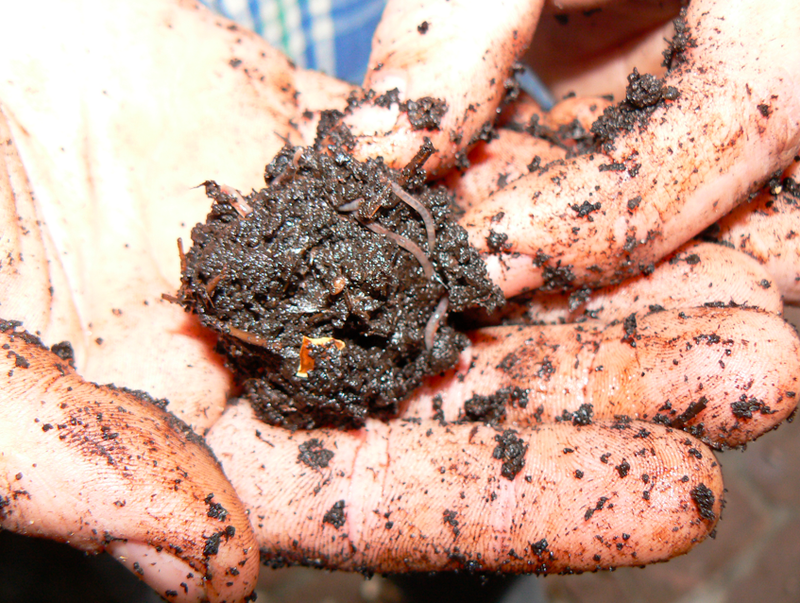 Red Worms and European Nightcrawlers are better composting worms. 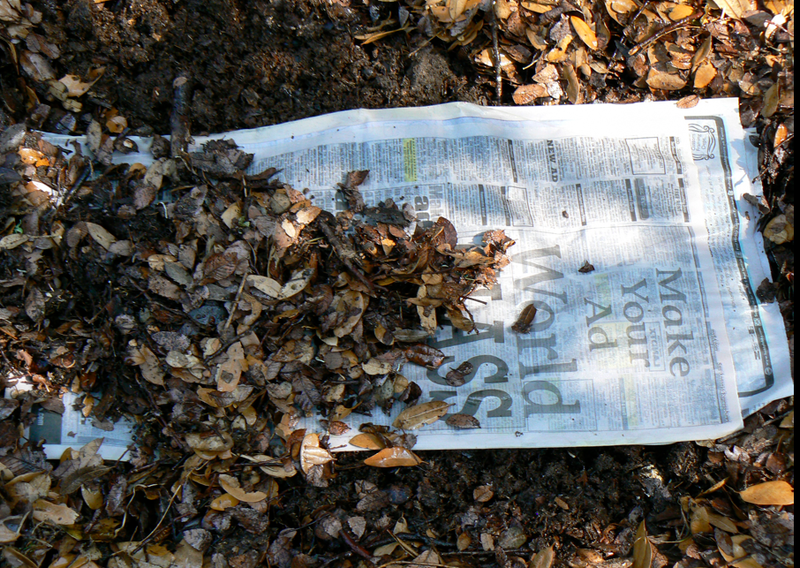 For added protection I covered the newspaper with some leaves. This method is one I have used with success, I have included some other similar worm bed set up links I have used. Have fun and send us ideas. Let us know if you have any questions. Worm Tubes, Worm Pit, Outdoor Worm Bed, Flow Through Worm Bin.